On the afternoon of 17 August 2017, 22-year-old Younes Abouyaaqoub drove a van into pedestrians on La Rambla in Barcelona, Spain, killing 13 people and injuring at least 130 others, one of whom died 10 days later on 27 August. Abouyaaqoub fled the attack on foot, then killed another person in order to steal the victim's car to make his escape. Nine hours after the Barcelona attack, five men thought to be members of the same terrorist cell drove into pedestrians in nearby Cambrils, killing one woman and injuring six others. All five of those attackers were shot and killed by police. The night before the Barcelona attack, an explosion occurred in a house in the Spanish town of Alcanar, destroying the building and killing two members of the terrorist cell; including the 40-year-old imam thought to be the mastermind. The home had over 120 gas canisters inside which police believe the cell was attempting to make into one large bomb (or three smaller bombs to be placed in three vans which they had rented) but which they accidentally detonated. The Prime Minister of Spain, Mariano Rajoy, called the attack in Barcelona a jihadist attack. Amaq News Agency attributed indirect responsibility for the attack to the Islamic State of Iraq and the Levant (ISIL). The attacks were the deadliest in Spain since the March 2004 Madrid train bombings and the deadliest in Barcelona since the 1987 Hipercor bombing. Younes Abouyaaqoub, the driver of the van in the Barcelona attack, was killed by police in a town 30 miles west of Barcelona on 21 August. On 16 August 2017, an explosion destroyed a house in Alcanar. Abdelbaki Es Satty and another man, possibly Youssef Aallaa, died in the Alcanar explosion. Police initially thought it was an accidental gas explosion, but hours later believed the explosion was caused by stockpiled explosives accidentally going off. A Moroccan man was injured in the explosion and taken to the hospital; he is to be questioned by police. The explosive TATP and 120 canisters of butane and propane were found inside the house. Catalan bomb squads carried out a controlled explosion at the property where the gas canisters were stored. There was speculation that the terrorists intended to take trucks loaded with explosives and combustible gas to attack the Sagrada Família. Police said they were working under the hypothesis that the terrorists shot in Cambrils were connected to the Barcelona attack and Alcanar explosions. Police chief Josep Lluís Trapero believed terrorists were in the process of manipulating the gas canisters when they exploded, after which they decided to continue their plans by conducting more rudimentary vehicle ramming attacks. A second explosion occurred at the same location during excavation, possibly caused by a spark from a backhoe igniting a gas canister among the debris. At least nine people were injured, with one police officer in critical condition. Distance covered by the van, during the attack. At 16:56 CEST (UTC+2) on 17 August, Younes Abouyaaqoub drove a white Fiat Talento van onto the pavement of Barcelona's La Rambla, crashing into pedestrians for about 550 metres (1,800 ft) between Plaça de Catalunya and Liceu before stopping on the Joan Miró mosaic. Witnesses said the vehicle zigzagged at high speed down the street, ramming pedestrians and cyclists. The numerous impacts the van had received caused the airbag to inflate and the driver protection system to automatically shut down the electrical system of the van, causing it to halt. In the confusion, Abouyaaqoub was able to get away. He fled on foot and made his way to the university district before hijacking a car and stabbing the driver to death. The van used in the La Rambla attack was rented in the neighbouring area of Santa Perpètua de Mogoda, along with a similar van, considered to be a getaway vehicle and found by 19:00 in Vic. Younes Abouyaaqoub's credit card was used to pay for the van rental. In a police press conference at 19:00 local time, a spokesperson confirmed the terrorist nature of the event. About two hours after the attack on La Rambla, a white Ford Focus rammed a police barricade in Avinguda Diagonal, leaving an officer injured. The vehicle fled to a neighboring area, Sant Just Desvern, and the driver abandoned the car near the building known as Walden 7. The police found a man stabbed to death in the rear seat whom, they believe, was murdered by the Ramblas driver who had escaped by hijacking the car. At about 21:30 on 17 August, Houssaine Abouyaaqoub, Omar Hichamy, Mohamed Hichamy, Moussa Oukabir, and Said Aalla were seen on a security camera at a local shop purchasing four knives and one axe. At around 1:00 AM on 18 August in Cambrils, the five men drove an Audi A3 automobile into a crowd of pedestrians before it rolled over at the intersection of Passeig Miramar, Passeig Marítim and Rambla de Jaume I streets. The five individuals inside were wearing fake suicide vests, and attacked bystanders with knives. They stabbed a 63-year-old Spanish woman to death and injured six other people in the attack, including a Cuban tourist and a police officer. A police officer shot and killed four of the assailants, while a fifth died of his injuries hours later. Bystanders filmed one of the assailants being shot by police as he ran towards them. The men were linked to the Barcelona attack according to the police. On 21 August, police shot and killed Younes Abouyaaqoub near a gas station in Subirats, about 40 km (25 miles) from Barcelona. Mossos d'Esquadra, the region's police force, tweeted: "The suspect is wearing an explosive belt attached to his body. The individual has been shot dead." A woman in Subirats is believed to have called police after spotting a man whom she thought was Younes Abouyaaqoub. The man ran towards an area of vineyards after she shouted at him to ask what he was doing. Austria 0 0 0 0 ? ? Kuwait 0 0 0 0 ? ? United Kingdom 0 0 0 0 ? ? Mauritania 0 0 0 0 ? ? Pakistan 0 0 0 0 ? ? Aside from eight attackers, 16 people of ten nationalities were killed: 14 who were struck by the van in La Rambla, including one who died from their injuries 10 days after the attack, one stabbed in Barcelona by the La Rambla attacker when the attacker stole his car, and one in Cambrils. Over 130 people from over 34 nations were injured, many critically. The imam Abdelbaki Es Satty died in the Alcanar gas explosion on 16 August, as did Youssef Aalla, brother of Said Aallaa. Five suspected members were shot dead by police on 18 August after the Cambrils attack: Moussa Oukabir, Omar Hychami, El Houssaine Abouyaaqoub, Said Aallaa and Mohamed Hychami. Younes Abouyaaqoub, the man believed to have been the van driver, was killed by police on 21 August. Four additional suspects were detained by police. Younes Abouyaaqoub, aged 22, was born on 1 January 1995 in M'rirt, Morocco, and had lived in Ripoll, Spain since he was four years old. He was the driver of the van that killed 14 people on La Rambla. He initially fled the scene of the attack on La Rambla through the Mercat de la Boqueria, then hijacked a car near the Zona Universitària station, stabbing the driver to death. On 21 August, police caught up with him in Subirats, a village near Barcelona. He was wearing a fake suicide vest and shouted "Allahu Akbar" before police shot and killed him. According to police sources, his identity documents were found in the second van, which was intercepted by Catalan police in Vic. His mother told the press that her son had been brainwashed by the imam Abdelbaki Es Satty. Houssaine Abouyaaqoub, aged 19, was the brother of Younes Abouyaaqoub and one of the attackers killed in Cambrils in the early hours of 18 August. He was a deliveryman for a kebab restaurant in Ripoll. Both Abouyaaqoub brothers were first cousins of Mohamed and Omar Hychami. Moussa Oukabir was 17 at the time of the attack. He was shot and killed by police after the Cambrils attack. The Fiat Talento van used the in La Rambla attack had been rented using the ID of Oukabir's brother who told police that Moussa Oukabir had stolen his ID. Moussa Oukabir had been living legally in Spain since 2005. In 2014 and 2015, he played futsal (a form of indoor football) for the local Ripoll youth team. In 2015, when asked on the social media website Kiwi what he would do in his first day as king of the world, he responded, "Kill the infidels and only spare Muslims who follow the religion." Moussa's brother has told the judge that Moussa had increased his prayer frequency, chided him for not spending time with Muslims only, and had told him that Muslims have to do "jihad, which implies war." Said Aallaa, 19, was born in Naour, Morocco. He had been living in Ribes de Freser, Spain, a village near Ripoll. He was shot and killed by police after the Cambrils attack. La Vanguardia reported that Aallaa's social media contained photographs of firearms and that his religiosity was evidenced by his membership in Islamic study groups. Said had left a note in his room apologising for the harm he was about to cause. Aalla's death in the explosion at Alcanar was later confirmed by police from DNA at the explosion site. Like all the other suspects, Youssef was born in Morocco. Youssef was a brother of Said Aallaa. Their father said Youssef attended the mosque. Mohamed Hychami, aged 24 was born in Mrirt, Morocco. He was the cousin of Younes Abouyaaqoub, the driver of the van in the La Rambla attack. He was in the Audi used in the Cambrils attack and was shot and killed by police there. Hychami's mother told the media that Mohamed had said he was leaving on vacation and would return in a week. Omar Hychami was 21, and was born in Mrirt, Morocco. He was the brother of fellow attacker Mohamed Hychami, and the cousin of the Rambla van driver Younes Abouyaaqoub. Abdelbaki Es Satty was a 44-year-old imam in Ripoll who was born in Morocco in 1973 and arrived in Spain in 2002. He was convicted of drug smuggling in 2014 and was to be deported from Spain, but Es Satty claimed deportation violated his human rights and he remained in Spain. A successful asylum application in November 2014 facilitated him moving freely in the 26 EU countries of the Schengen area. On 21 August, he was confirmed to have died in the accidental explosion in Alcanar on 16 August. As the imam thought to have been important in radicalising the other terrorists, he has been considered the "mastermind" of the planned attacks. Es Satty had been renting a room in the house for four months. Es Satty, who had been employed as imam at the Ripoll mosque since 2015, quit "abruptly" in June. He had also stayed in Belgium for approximately three months in 2016, where he had been searching for work, including in Vilvoorde. Investigators believe the imam might be aligned with the Salafist movement, but this might not be unusual, as one in three Islamic prayer centers in Catalonia are. He has been described as "unfailingly courteous and studiously discreet", betraying no radicalism in his appearance and interactions with those who did not know him, and training those in his terrorist cell to also lead double lives. Police arrested four men in connection with the attacks. Three of the men were arrested in Ripoll: the owner of the car used in the Cambrils attack, the brother of Moussa Oukabir, and a third man. In Alcanar, 20-year-old Mohamed Houli Chemlal, who survived the Alcanar explosion was also arrested. Mohamed Houli Chemlal and Driss Oukabir have been charged with membership of a terror organisation and murder with Mohamed also been charged with possession of explosives. Both remain in custody. By 24 August 2017, two of the suspects, Salh El Karib and Mohamed Aalla, had been released on certain conditions, including that they hand over their passports. The ISIL-linked Amaq News Agency claimed the attack was carried out in response to the call for targeting states in the anti-ISIL coalition, of which Spain is a member, contributing about 400 soldiers training Iraqi Army and Iraqi Police forces. The Economist portrayed the motivation for this 2017 attack in Spain as rather ‘less obvious’, Spain being ‘a minor player in the campaign against ISIS and other groups’, though admittedly Spain contributed 150 soldiers to Operation Serval fighting Islamic militants in Mali, and in online propaganda linked to ISIL the Sagrada Família basilica was suggested as possible target and ISIL was suggested to have boasted about recovering the Islamic lands of Al-Andalus. Mossos d'Esquadra, the police force of Catalonia, launched Operation Cage to locate the perpetrators. All public events in Barcelona were cancelled, and both Carles Puigdemont, the President of the Generalitat of Catalonia, and Ada Colau, the Mayor of Barcelona, cancelled their holidays to return to the city and take part in crisis management. Likewise, Prime Minister of Spain Mariano Rajoy cancelled his holidays and travelled to Barcelona with the Spanish Deputy Prime Minister, Soraya Sáenz de Santamaría, and Juan Ignacio Zoido, the Spanish Minister of the Interior. Spain declared three days of mourning. The day after the attacks, a minute's silence led by Catalan President Carles Puigdemont, Barcelona Mayor Ada Colau, and King Felipe VI of Spain was observed at Plaça de Catalunya, which ended with applause and chants of "No tinc por" ("I am not afraid"). During the following days candles and flowers were left at the Joan Miró mosaic at La Rambla, in memory of the victims. The King and Queen also left a wreath in the name of the Crown. On 26 August 2017, a large crowd marched down the Passeig de Gràcia in Barcelona in a protest against the terror attacks. The march was called by the city council and Catalan government. Some people booed the King of Spain and displayed signs blaming the Head of State for the Spanish arms sales. Other demonstrators displayed Spanish and Catalan flags. On 10 September 2017, the security and emergency services were awarded the Medal of Honour of the Catalan Parliament (Medalla d'Honor del Parlament de Catalunya). With this medal the Catalan Parliament recognises the dedication, effort, and courage of the Mossos d'Esquadra, Guàrdia Urbana de Barcelona, Local Police of Cambrils, and the Emergency Services. The Major of the Catalan Police, Josep Lluís Trapero Álvarez, collected the award and made a speech mourning the victims. Many world leaders reacted to the events, condemning the attacks and expressing shock and solidarity with Spain, as well as offering support. News sources asked whether the attack would affect the vote in the 2017 Catalan independence referendum. Several days after the attack, islamophobic incidents were produced in Sevilla, Logroño and Granada. Ministerio del Interior and Cuerpo Nacional de Policía recommended the installation of bollards, but Generalitat chose to improve the presence by the police officers. The night of the Wednesday 23 August 2017, Islamic State of Iraq and the Levant uploaded a video where they praised the authors of the attack and they threaten to attempt if the battle between Siria and Iraq doesn't end, and they threaten to attempt to Gibraltar with an atomic bomb. The video was uploaded in Spanish. They also threaten to get al-Ándalus back as caliphate and take revenge for muslims who died at Spanish Inquisition. The first author of the video was identified as Abu Lais Al Qurtubí (el Cordobés in Spanish) or Abu Laiz al Qurtubi, named Muhammad Yasin Ahram Pérez, Tomasa Pérez oldest son, who was converted to Islam after her matrimony with the Moroccan Abdelah Ahram. The hooded author has been identified as Abu Salman Al-Andalus or Abu Salman al-Andalusí (el andaluz). The menacing video to Gibraltar was aired by Abu Albara Bin Malik and spread by Al Wafa. The menacing video to Spain was produced in Wilayat Jair, Deir Ezzor (Siria), and according to the saharaui journalist Bachir Mohamed Lahsen, terrorist only publish menaces for propagandistic use, so it won't be a problem. As a response on Twitter, users do an Internet meme with Muhammad Yasin Ahram Pérez message. ^ "Source: Early assessment finds TATP at Barcelona attackers' bomb factory". CNN. Retrieved 18 August 2017. ^ "Barcelona Attack Suspect Moussa Oukabir Among Those Shot Dead By Police In". Huffington Post. Retrieved 19 August 2017. ^ "Factbox: The investigation into Barcelona attack". Reuters. Retrieved 20 August 2017. ^ a b "Spain attack: What do we know about the victims?". BBC News. 21 August 2017. Retrieved 22 August 2017. ^ "Barcelona attack suspect 'hijacked car to escape'". BBC. Retrieved 22 August 2017. ^ a b c d "Barcelona attack: four suspects to face court after van driver is shot dead". The Guardian. Retrieved 22 August 2017. ^ "Cambrils: five terror suspects killed as second attack follows Las Ramblas". The Guardian. 18 August 2017 – via www.bbc.com. ^ "Atentado en Barcelona – Los Mossos confirman que el imam de Ripoll murió mientras manipulaba explosivos" [Attack in Barcelona – The Mossos confirm that the imam of Ripoll died while manipulating explosives] (in Spanish). 21 August 2017 – via El Mundo. ^ "Barcelona attack: Spain terror cell had 120 gas canisters". 20 August 2017 – via bbc.com. ^ a b "Van crashes into dozens of people in Barcelona: police". Reuters. Retrieved 17 August 2017. ^ a b c d e f "Islamist terrorism in Catalonia leaves the Spanish wondering why". The Economist. 18 August 2017. Retrieved 20 August 2017. ^ a b "Barcelona attack: Imam at centre of investigation among dead in house explosion". Independent. Retrieved 21 August 2017. ^ "Barcelona attack: Police discover 120 gas canisters stored by terror group for horrific atrocities". Evening Standard. Retrieved 20 August 2017. ^ RAPHAEL MINDER; RUKMINI CALLIMACHI. "Spain Looking for Moroccan Man in Barcelona Attack Investigation". The New York Times. Retrieved 20 August 2017. ^ "Barcelona attack: Spain terror cell had 120 gas canisters". BBC News. 20 August 2017. Retrieved 20 August 2017. ^ Alexander, Harriet. "Massive explosion at Alcanar house on Wednesday night linked to Barcelona terror attack". telegraph.co.uk. The Telegraph. Retrieved 17 August 2017. ^ "Evil terror gang 'planned to use Mother of Satan explosives to blow up Sagrada Familia'". 19 August 2017. Retrieved 19 August 2017. ^ "'Terrorists planned on destroying Barcelona's Sagrada Familia church'". Ynetnews. Retrieved 20 August 2017. ^ "Spain attacks: Police shoot dead 5 suspects in 12 hours of terror". CNN/Gant. 18 August 2017. ^ "House destroyed in gas blast 'holds clues to Barcelona attack'". The Irish Times. 18 August 2017. ^ Ruiz Mantilla, Jesús (26 August 2017). "El momento de la segunda explosión de Alcanar". El País (in Spanish). Madrid: Prisa. Retrieved 12 March 2019. ^ EFE (17 August 2017). "Nueve heridos en la segunda explosión en Alcanar Platja (Tarragona)". Eldia (in Spanish). Editorial Leoncio Rodríguez, S.A. Retrieved 17 August 2017. ^ "Atropellament massiu a la Rambla de Barcelona" (in Catalan). 324.cat. 17 August 2017. Retrieved 17 August 2017. ^ "Barcelona and Cambrils attacks: What, where and why?". www.aljazeera.com. Retrieved 18 August 2017. ^ "Atentado en Barcelona: El airbag frenó la furgoneta e impidió una masacre aún mayor en la Rambla". www.lavanguardia.com. Retrieved 21 August 2017. ^ "Lo que se sabe del atentado en La Rambla de Barcelona". El País. Retrieved 17 August 2017. ^ "Atropellament massiu a la Rambla de Barcelona en un atemptat terrorista". Ara.cat. Retrieved 17 August 2017. ^ "El documento de identidad del terrorista huido estaba en la furgoneta del atentado de Las Ramblas". www.eldiario.com. Retrieved 21 August 2017. ^ Mossos (17 August 2017). "En aquests moments es confirma una víctima mortal i 32 ferits, dels quals 10 greus #Barcelona". ^ Galan, Laura. "Almenys 13 persones mortes en l'atropellament massiu a la Rambla de Barcelona". CCMA. Retrieved 17 August 2017. ^ "Un vehicle atropella una agent dels Mossos a la Diagonal després de saltar-se un control". 324.cat. Corporació Catalana de Mitjans Audiovisuals. Retrieved 17 August 2017. ^ London, Giles Tremlett Sam Jones in; Barcelona, Stephen Burgen in (18 August 2017). "Spain terror cell planned Barcelona bombing rampage". Retrieved 24 August 2017 – via The Guardian. ^ "Los cinco de Cambrils comprando cuchillos en el bazar chino". La Vanguardia. Retrieved 27 August 2017. ^ "Un solo agente de los Mossos abatió a cuatro de los terroristas en Cambrils". El País. Retrieved 18 August 2017. ^ Guy Birchall. "RABBI'S WARNING Barcelona's chief rabbi tells Jews to buy homes in Israel in the wake of terror attack". The Sun. Retrieved 20 August 2017. ^ Robert Mendick; James Crisp; Hannah Strange. "Cambrils shoot out 'was like a horror movie'". The Telegraph. Retrieved 19 August 2017. ^ "Police in Cambrils, south of Barcelona, kill 5 terrorism suspects accused of plotting attack". globalnews.ca. Global News. Retrieved 18 August 2017. ^ "Un solo Mosso de Esquadra abatió a cuatro de los terroristas de Cambrils". La Vanguardia. Retrieved 18 August 2017. ^ "Spain attacks: Suspects shot dead in Cambrils after van-ramming". BBC. 18 August 2017 – via www.bbc.co.uk. ^ "Barcelona attack: Suspected van driver shot dead by police". BBC News. 21 August 2017. ^ Parfitt, Tom (21 August 2017). "How Barcelona police FINALLY tracked down and killed terror attacker Younes Abouyaaqoub". Daily Express. ^ Redacció (18 August 2017). "Un nen de 3 anys i un home de Rubí, els primers identificats entre les víctimes de l'atemptat". 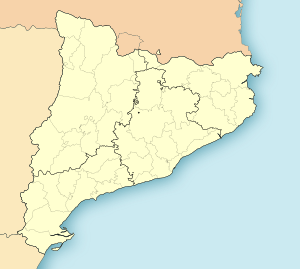 Catalunya Diari (in Catalan). Retrieved 18 August 2017. ^ Fariñas, Tamara (18 August 2017). "Un granadino de 57 años, primera víctima confirmada del atentado de Barcelona". El Confidencial. Retrieved 21 August 2017. ^ EFE (20 August 2017). "Un niño de tres años, una de las víctimas del atentado de Barcelona". La Sexta Noticias. Retrieved 22 August 2017. ^ Alsedo, Quico (20 August 2017). "La abuela Pepita: asesinada en una tarde de compras por Barcelona". El Mundo. Sant Hipòlit de Voltregà. Retrieved 22 August 2017. ^ Catà Figuls, Josep (21 August 2017). "Pau Pérez, víctima número 15 de los atentados en Cataluña". El País. Barcelona. Retrieved 21 August 2017. ^ J. Campo, Ramón (19 August 2017). "La única fallecida en Cambrils es una zaragozana apuñalada por un yihadista". Heraldo de Aragón. Retrieved 21 August 2017. ^ "Attentato a Barcellona: morto Bruno Gulotta, giovane i figli". MilanoToday (in Italian). 18 August 2017. Retrieved 18 August 2017. ^ "Catalogna, c'è una terza italiana tra le 14 vittime. Polizia: uccisi a Cambrils 3 dei 4 ricercati. Forse anche l'autista-killer della Rambla". Repubblica.it (in Italian). 18 August 2017. Retrieved 19 August 2017. ^ a b Gómez, Irene (18 August 2017). "Bruno Gulotta y Luca Russo, los dos italianos fallecidos en el atentado de Barcelona". El Confidencial. Retrieved 21 August 2017. ^ "Carmela Lopardo, una italiana residente en Argentina, entre las víctimas de Barcelona". El Confidencial. Cataluña. 18 August 2017. Retrieved 21 August 2017. ^ "Portuguesa de 74 anos morreu em Barcelona. Mais uma portuguesa está desaparecida". Diario de Noticias (in Portuguese). 17 August 2017. ^ Europa Press (18 August 2017). "Una portuguesa de 74 años, entre las víctimas mortales del atropello en Barcelona". La Vanguardia. Madrid. Retrieved 22 August 2017. ^ EFE (19 August 2017). "Confirman la muerte de la joven portuguesa desaparecida en el atentado de Barcelona". La Sexta Noticias. Madrid. Retrieved 22 August 2017. ^ "Julian Cadman, el niño australiano que daban por desaparecido, entre los fallecidos en el atentado de Barcelona". ^ Gutiérrez, Hugo (20 August 2017). "El niño australiano que daban por desaparecido, entre los fallecidos". El País. Barcelona. Retrieved 21 August 2017. ^ "1 Canadian killed, 4 injured in Barcelona attack, Ottawa confirms". CBC News. Retrieved 18 August 2017. ^ Agencias (19 August 2017). "Ian Moore Wilson, un canadiense que paseaba con su mujer: una de las víctimas del atentado de Barcelona". La Sexta. Madrid. Retrieved 21 August 2017. ^ "Attaque terroriste à Barcelone : un Belge parmi les victimes". Le Soir (in French). 17 August 2017. ^ Sánchez, Álvaro (19 August 2017). "Elke Vanbockrijck, la mujer que quería llevar a su hijo al Camp Nou". El País. Bruselas. Retrieved 21 August 2017. ^ "Atentado en Barcelona: hay dos argentinos heridos". Clarín. Retrieved 18 August 2017. ^ Pisiani, Silvia (18 August 2017). "Atentado en Barcelona: identificaron a la argentina que murió en el ataque". La Nación. Barcelona. Retrieved 21 August 2017. ^ a b c Roy, Eleanor Ainge (18 August 2017). "Barcelona victims: citizens from at least 24 countries among dead and injured". The Guardian. ISSN 0261-3077. Retrieved 18 August 2017. ^ Agencias (19 August 2017). "Identifican al estadounidense fallecido en el atentado de Barcelona". Noticias Cuatro. Retrieved 21 August 2017. ^ "Terroranschlag mit Transporter auf La Rambla in Barcelona: Tote, Verletzte". Bild (in German). 18 August 2017. Retrieved 18 August 2017. ^ "Muere una mujer alemana de 51 años herida en el atentado de Barcelona". El País. Barcelona. 27 August 2017. Retrieved 27 August 2017. ^ "Attentat de Barcelone : 26 Français blessés dans l'attaque". Retrieved 18 August 2017. ^ "Un home i un nen de Rubí, entre les 14 víctimes mortals dels atemptats". Ara.cat (in Catalan). Retrieved 18 August 2017. ^ "Suman 30 franceses heridos en los atentados en Cataluña". Televisa. París. 19 August 2017. Retrieved 23 August 2017. ^ a b Weaver, Matthew (18 August 2017). "Barcelona attack: 18-year-old identified as suspected van driver – latest updates". The Guardian. ISSN 0261-3077. Retrieved 18 August 2017. ^ "4 Filipinos injured in Barcelona attack". philstar.com. Retrieved 18 August 2017. ^ "Three Algerians injured in Barcelona terrorist attack". en.aps.dz. Archived from the original on 18 August 2017. Retrieved 18 August 2017. ^ "Greek mother, her two children among the injured in Barcelona van attack". Keep Talking Greece. 17 August 2017. Retrieved 18 August 2017. ^ "Tres marroquíes entre los heridos de Barcelona, uno de ellos un niño muy grave". EFE. Retrieved 18 August 2017. ^ "MAE: Printre răniţii de la Barcelona se află doi români" (in Romanian). Retrieved 18 August 2017. ^ "2 Taiwanese tourists injured in Barcelona terrorist attack | Taiwan News". Taiwan News. Retrieved 18 August 2017. ^ "Nye oplysninger: Her er manden, der mistænkes for at køre folk ihjel i Barcelona". www.bt.dk (in Danish). Retrieved 18 August 2017. ^ "Las dos ecuatorianas heridas en atentado en Barcelona están fuera de peligro". El Telégrafo. 18 August 2017. Retrieved 18 August 2017. ^ "Una venezolana entre los heridos del atentado de Barcelona". El Estímulo. 17 August 2017. Retrieved 18 August 2017. ^ "Cancillería confirma que hay un colombiano entre los heridos". El Tiempo. 17 August 2017. Retrieved 18 August 2017. ^ EFE (18 August 2017). "Cancillería confirma que hay un colombiano herido en atentado de Barcelona". La Vanguardia. Bogotá. Retrieved 22 August 2017. ^ "One Macedonian citizen injured in Barcelona terror attack". MIA. Retrieved 18 August 2017. ^ "Una hondureña entre los heridos del atentado de Barcelona". La Vanguardia. 18 August 2017. Retrieved 18 August 2017. ^ Redacción (18 August 2017). "Una peruana herida en el ataque terrorista en La Rambla de Barcelona". El Comercio (in Spanish). Retrieved 18 August 2017. ^ "Russian Woman Injured in Barcelona Terror Attack - Russian Tourism Agency". Sputnik News. Retrieved 18 August 2017. ^ "MSP: Državljanka Srbije povređena u napadu u Barseloni". B92.net (in Serbian). Retrieved 18 August 2017. ^ "Turkish national among Barcelona injured". Anadolu Agency. Retrieved 18 August 2017. ^ "ברונו הציל את בנו ומת, אלקה נרצחה לעיני ילדיה: קורבנות הפיגוע בברצלונה". Ynet (in Hebrew). 18 August 2017. Retrieved 18 August 2017. ^ Guzmán, Sandra (18 August 2017). "Hay una dominicana entre los heridos del atentado en Barcelona". El Caribe. Archived from the original on 18 August 2017. Retrieved 18 August 2017. ^ "Barcelonai terror: nincs magyar halálos áldozat, egy magyar nő könnyebben megsérült". 24.hu (in Hungarian). 18 August 2017. Retrieved 18 August 2017. ^ "Egyptian woman amongst injured in Barcelona ramming attack - Egypt Today". Egypt Today. Retrieved 18 August 2017. ^ "'Pessoas pisavam umas nas outras', diz amigo de brasileiro ferido em atentado". Folha de S.Paulo. Retrieved 20 August 2017. ^ a b c d e "EmergènciesCatalunya (@emergenciescat) | Twitter". Twitter (in Spanish). Retrieved 18 August 2017. ^ a b Agencias (22 August 2017). "Los atentados de Barcelona y Cambrils dejan 15 muertos y más de 120 heridos". Radiotelevisión Española. Retrieved 22 August 2017. ^ a b Agencias (18 August 2017). "Una fallecida, cinco terroristas abatidos y seis civiles heridos en el ataque terrorista de Cambrils". Heraldo de Aragón. Zaragoza. Retrieved 22 August 2017. ^ "Barcelona attack: Suspected van driver shot dead by police". BBC. 21 August 2017. Retrieved 21 August 2017. ^ a b Burgen, Stephen (21 August 2017). "Spain terror attacks death toll rises to 15 as main suspect hunted across Europe". The Guardian. Retrieved 21 August 2017. ^ Hatton, Barry; Wilson, Joseph (17 August 2017). "Barcelona attack: Van driver kills 13, injures 100". CTV News. The Associated Press. Retrieved 17 August 2017. ^ "'Barcelona attack: Suspected van driver shot dead by police". BBC. ^ Europa Press (20 July 2018). "Los Mossos confirman la muerte de Youssef Aalla, el segundo terrorista fallecido en la explosión de Alcanar". Antena 3 TV (in Spanish). Madrid: Atresmedia. Retrieved 8 August 2018. ^ a b "'La policía mata a Younes Abouyaaqoub, el autor del atentado de Barcelona". La Vanguardia. Retrieved 21 August 2017. ^ "Spain terror attacks death toll rises to 15 as main suspect hunted across Europe". The Guardian. Retrieved 21 August 2017. ^ "Double attack in Catalonia – Identified the five presumed terrorists killed in Cambrils and manhunt for one at large". RTVE – Radio Televisión Española (in Spanish). Retrieved 19 August 2017. ^ "Fourth terror suspect arrested after Barcelona and Cambrils attacks". 18 August 2017. Retrieved 18 August 2017. ^ "Four arrested over Spain attacks: Who are they?". Retrieved 18 August 2017. ^ "Tímido, buen estudiante y fanático de los coches y el fútbol: así era Younes Abouyaaqoub". 22 August 2017 – via El Pais. ^ a b "Younes Abouyaaqoub: este es el sospechoso del atentado de Barcelona". El País (in Spanish). Retrieved 19 August 2017. ^ "Las imágenes del terrorista huyendo de La Rambla de Barcelona". El País (in Spanish). Madrid: Prisa. 13 September 2017. Retrieved 8 August 2018. ^ ""Vi el vídeo unas 15 veces y me quedé congelada", asegura la chica que grabó al terrorista de Las Ramblas segundos después del atropello". Antena 3 TV (in Spanish). Madrid: Atresmedia. 20 July 2018. Retrieved 8 August 2018. ^ Macguire, Eoghan; Silva, Daniella. "Spanish Police Fatally Shoot Suspect in Barcelona Terror Attack". NBC News. Retrieved 21 August 2017. ^ "Barcelona attack: Van driver shot dead by police". BBC. Retrieved 21 August 2017. Abouyaaqoub and wearing a fake explosive belt. Police shot and killed him . ^ Guy Hedgecoe. "'A mastermind has brainwashed them': Family of Barcelona terror suspect speak out". The Irish Times. Retrieved 20 August 2017. ^ "Barcelona attack: four suspects face court after van driver is shot dead". The Guardian. Retrieved 22 August 2017. ^ a b c Rodríguez, Jesús García, Marta (19 August 2017). "Los Mossos buscan al sospechoso del atropello en La Rambla de Barcelona". ^ F. Javier Barroso. "The man who drove the cargo van remains free". El Pais (in Spanish). Retrieved 18 August 2017. ^ Javier Oms. "El conductor del atentado de Barcelona aún no está identificado". El Mundo (in Spanish). Retrieved 18 August 2017. ^ "Barcelona and Cambrils attacks: Who was Moussa Oukabir?". BBC. Retrieved 20 August 2017. ^ Jack Moore. "Barcelona Attack Suspect Moussa Oukabir Posted 'Kill The Infidels' Online". Newsweek. Retrieved 18 August 2017. ^ FERNANDO J. PÉREZ (1 September 2017). "Driss Oukabir confessed that his brother Moussa told him that he had to do the jihad". El País (in Spanish). Retrieved 2 September 2017. Driss Oukabir admitted to the judge that his brother, 17, had increased the frequency of his prayers and blamed him for spending time with non-muslims. In addition, the minor took precautions to camouflage his radicalization from the security forces, according to the magistrate. Moussa avoided going to the first prayer of the morning, on suspicion that the security forces had that prayer under surveillance in the mosque of Ripoll. The detainee, who rented the Fiat Talento with which Youness Abouyaaqoub ran over La Rambla de Barcelona on the afternoon of 17 August, acknowledged before the judge that his younger brother had told him that Muslims had to do "the jihad that implies war. ^ MANUEL MARRACO (1 September 2017). "Driss Oukabir admits before the judge that his brother Moussa wanted to do "the jihad that implies war"". El Mundo (in Spanish). Retrieved 2 September 2017. He [Moussa] would have suffered a religious exacerbation, reflected both in his way of dressing and wearing his hair, as well as in his religious habits. He adds that in his judicial declaration, Oukabir acknowledged that his brother had increased his prayers, reproached him for not spending time with muslims only and intended to hide his radicalization from possible police investigators, avoiding attending the first prayer of the day, in the face of suspicions that the police monitored that first prayer. Driss Oukabir also acknowledged before the judge that his brother had told him that Muslims had to do jihad, "the jihad that implies war." ^ Metro.co.uk, Harley Tamplin for (18 August 2017). "Three main suspects in Spain terror attacks have been killed, police say". ^ Giles Tremlett; Sam Jones; Stephen Burgen. "Spain terror cell planned Barcelona bombing rampage". The Guardian. Retrieved 20 August 2017. ^ Daniel Somolinos. "The "model" younger Oukabir brother". El Mundo (in Spanish). Retrieved 19 August 2017. ^ "One of the now dead terrorists featured guns on his Facebook account". La Vanguardia (in Spanish). 19 August 2017. Retrieved 19 August 2017. ^ a b "Barcelona attack suspect 'hijacked car to escape'". 21 August 2017 – via www.bbc.com. ^ Barcelona, Efe / (24 August 2017). "Los Mossos identifican a Youssef Aallaa en los escombros de Alcanar". ^ "Se confirma la identidad de los cinco abatidos en Cambrils". EuropaPress. 18 August 2017. Retrieved 19 August 2017. ^ "Police hunt for suspected Barcelona van driver". ABC News. 20 August 2017. Retrieved 20 August 2017. ^ Alex Oller; Joseph Wilson; Lori Hinnant. "Manhunt Continues for Barcelona Driver and Missing Moroccan Imam". Time. Archived from the original on 20 August 2017. Retrieved 19 August 2017. ^ "Imam behind Barcelona terror attacks used human rights to fight deportation from Spain". The Telegraph. Retrieved 30 August 2017. ^ "Barcelona attack: Suspected van driver shot dead by police". 21 August 2017. Retrieved 21 August 2017. ^ ALIX CULBERTSON. "PICTURED: Humble bolthole of Barcelona jihadi cell ringleader imam being hunted by police". Sunday Express. Retrieved 20 August 2017. ^ "Who is Abdelbaki Es Satty: Ripoll's imam and alleged mastermind of the terrorist cell got out of jail in 2012". 20 Minutos (in Spanish). 20 August 2017. Retrieved 20 August 2017. ^ "Los Mossos registran la vivienda del imán de Ripoll". 19 August 2017. Retrieved 19 August 2017. ^ "El Imán salafista de Ripoll, lider de la célula yihadista en el atentado en Barcelona". Retrieved 19 August 2017. ^ Angus Berwick. "In quiet mountain town, Barcelona attackers went under radar". Reuters. Retrieved 20 August 2017. ^ "Spain terror attacks: Authorities investigate missing imam, mysterious explosion". CBS. Retrieved 20 August 2017. ^ JORDI PÉREZ COLOMÉ; MARTA RODRÍGUEZ; PATRICIA ORTEGA DOLZ. "How an imam created the terror cell behind the Barcelona terror attack". El País. Retrieved 20 August 2017. ^ RUBIN, ALISSA J.; KINGSLEY, PATRICK; KARASZ, PALKO (23 August 2017). "How a Shadowy Imam Evaded Scrutiny and Forged the Barcelona Cell". New York Times. Retrieved 23 August 2017. ^ EFE (28 July 2018). "Mohammed Houli, el terrorista herido en Alcanar, confirma al juez que planeaban un atentado mayor". La Sexta Noticias (in Spanish). Madrid: Atresmedia Corporación de Medios de Comunicación, S.A. Retrieved 30 August 2018. ^ "Los terroristas de Cataluña que viajaron a París pasaron por la torre Eiffel antes de volver a España". ^ "Barcelona attack: Spain terror cell had 120 gas canisters". 20 August 2017 – via www.bbc.com. ^ "Espagne attentats : Ce qu'on sait sur Mohamed Houli Chemlal, le terroriste d'Alcanar". Dreuz.info. Retrieved 21 August 2017. ^ "Second of 4 Men Arrested Over Catalonia Attacks Released: Source". Voice of America. Reuters. 24 August 2017. Retrieved 27 August 2017. ^ "Hero policewoman kills FOUR jihadists wearing fake suicide vests". dailymail.co.uk. Retrieved 21 August 2017. ^ "Atemptat a la Rambla de Barcelona". Ara. 17 August 2017. Retrieved 17 August 2017. ^ "Rajoy, Santamaría i Zoido viatgen a Barcelona per participar en el gabinet de crisi per l'atemptat". Ara.cat (in Catalan). Retrieved 17 August 2017. ^ "El Gobierno de España decreta 3 días de luto oficial en todo el país". OK Diario. 17 August 2017. Retrieved 24 August 2017. ^ "España se paraliza para guardar un minuto de silencio por las víctimas de los atentados". RTVE.es. ^ "Altar improvisado en recuerdo de las víctimas de la barbarie". 20minutos. Retrieved 24 August 2017. ^ Segura, Cristian (26 August 2017). "Barcelona protesta contra el terror entre abucheos al Rey y 'estelades'". El País (in Spanish). Retrieved 26 August 2017. ^ Burgen, Stephen (26 August 2017). "Spain attacks: thousands march through Barcelona in show of defiance". The Guardian. Retrieved 26 August 2017. ^ "La tremenda pitada al rey en la manifestación de Barcelona". 26 August 2017. ^ Clarin.com. "Abucheos al rey en la manifestación contra el terrorismo en Barcelona". www.clarin.com. ^ "Josep Lluís Trapero reivindica la "profesionalidad" de los Mossos d'Esquadra y su defensa de la libertad" [Josep Lluís Trapero claims the "professionalism" of the Mossos d'Esquadra and its defense of freedom]. Europa Press (in Spanish). Barcelona. 10 September 2017. Retrieved 12 September 2017. ^ "How the world reacted to the Barcelona terror attack". The Telegraph. Telegraph Media Group. 18 August 2017. Retrieved 18 August 2017. ^ Stefanie Müller (18 August 2017). "Terror attacks in Spain could pose problems for Catalonian independence". Deutsche Welle. Retrieved 21 August 2017. ^ Patrick Jackson (20 August 2017). "Barcelona attacks: What could they mean for Catalan independence?". BBC News. Retrieved 21 August 2017. ^ Liñán, José Manuel Abad (20 August 2017). "Las mezquitas de Granada, Sevilla y Logroño denuncian agresiones islamófobas". El País (in Spanish). Prisa. Retrieved 21 August 2017. ^ "El documento con el que la Policía recomendó colocar bolardos en accesos a lugares concurridos". La Vanguardia (in Spanish). Barcelona. 19 August 2017. Retrieved 22 June 2018. ^ Lázaro, Fernando; Boiza, Ferran (19 August 2017). "Colau y los Mossos esquivaron el consejo policial de poner bolardos". El Mundo (in Spanish). Unidad Editorial. Retrieved 22 June 2018. ^ EFE (23 August 2017). "ISIS publica un vídeo en español sobre el atentado sin mostrar pruebas de su posible implicación". El Diario (in Spanish). Retrieved 23 August 2017. ^ a b Iriarte, Daniel (21 August 2017). ""Barcelona es una advertencia": partidarios del ISIS tratan de rentabilizar el atentado". El Confidencial (in Spanish). Retrieved 24 August 2017. ^ EFE (24 August 2017). "Daesh amenaza en castellano a España y alaba a Abouyaaqoub por el atentado de Barcelona". ABC (in Spanish). Vocento. Retrieved 12 March 2019. ^ "El ISIS publica su primer vídeo en español amenazando con que Al Andalus "será parte del califato"". Okdiario (in Spanish). 23 August 2017. Retrieved 23 August 2017. ^ "Un yihadista del ISIS que se autodenomina El Cordobés llama a recuperar Al Ándalus". Cordópolis (in Spanish). 23 August 2017. Retrieved 23 August 2017. ^ Agencias (23 August 2017). "Abandonen esta guerra o nunca los dejaremos tranquilos: Estado Islámico a Barcelona". El Espectador (in Spanish). Retrieved 24 August 2017. ^ Requeijo, Alejandro (23 August 2017). "El yihadista del vídeo de Daesh es Muhammed Ahram Pérez y procede de Córdoba". El Español. Retrieved 24 August 2017. ^ Vera, Joaquín (24 August 2017). "Tomasa Pérez, la madre cordobesa del yihadista del vídeo que amenaza a España". El Español (in Spanish). Retrieved 25 August 2017. ^ "El ISIS amenaza con más ataques a España en su primer vídeo en castellano". El País (in Spanish). Prisa. 24 August 2017. Retrieved 24 August 2017. ^ "El primer vídeo del Daesh en castellano demuestra el aumento de la amenaza". El Independiente (in Spanish). 23 August 2017. Retrieved 24 August 2017. ^ Carrión, Francisco (23 August 2017). "El Estado Islámico celebra en un vídeo el atentado de Barcelona y pide "vengar la matanza de la Inquisición"". El Mundo (in Spanish). El Cairo. Retrieved 24 August 2017. ^ J. E. (24 August 2017). "La amenaza de Daesh se convierte en un meme". El Español (in Spanish). Retrieved 24 August 2017.